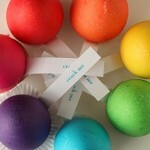 If you are looking for fun Easter crafts ideas for children, be sure to try the coloring Easter eggs in the style of a popular game SuperMario. 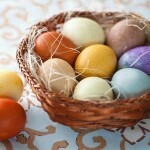 Today we will learn how to paint eggs in such a special way. Step 1. To draw SuperMario, take a pencil and initially draw the template. Then paint it. Please note that before applying paint over another color, you need to wait at least one hour to the previous layer of paint has dried. 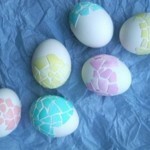 Step 2: Cover the egg with black paint. Draw the eyes, mouth and teeth. Step 3. This character is drawn simple: first paint the egg brown paint and then paint white eyes and fangs, black mouth and eyebrows. Step 4. This time to paint the base is not necessary. Use different colors to draw the helmet. Then add the top of the white paint. Step 5. Those who love to play Nintendo, well aware of this symbolism. Make it step by step. Step 6. Those who played SuperMario, of course, recognize this symbol. 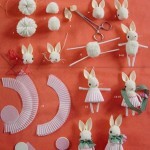 Hope you like this fun Easter crafts idea for children.